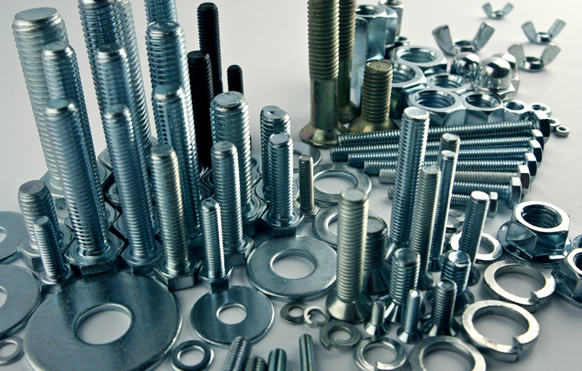 When attempting any construction or DIY project it’s vitally important to use the correct fixings and fasteners to achieve a safe and professional looking result. Now, sometimes it can be a bit bewildering, particularly if you are fairly new to it but if you take the time to do a bit of research first, you’re going to be sure of using the correct ones for the job. You’ll find vast amounts of information on the internet which will give some very good advice. Head for an online tool suppliers website where you’ll be able to read up about each of the different products they sell and get some professional advice from the experts if you need it. There are some basic rules on which fixings (be it hand rail fittings, screws, bolts or other general fasteners to use for a particular job. If you are fixing two pieces of wood together, then depending on your project you may or may not require the screws to fit flush with the surface ( or even slightly below the surface). If that’s the case then you would need to use countersunk screws. They come with a flat head and are used for maybe fixing a hinge to a door for example or just general woodwork. If you need to fix two pieces of metal together then you’ll need to use a different type of screw for the job. In that instance you would use a self tapping screw which as the name suggests creates its own thread as it goes. They are useful for those jobs where you may need to remove the screw at a later date and re-insert it. Another type of screw; a round head screw, comes with a domed head which will always be visible on the surface and can provide a decorative finish to your project. Just carefully choose the best fixing for the job and you won’t go wrong.